Recently, there have been signs that the Thai government is softening its stance on marijuana. For decades, Thailand was one of America’s most resolute allies in the war on drugs. After zero tolerance policies left the Kingdom with the highest rate of incarceration in Asia and a methamphetamine (ya ba) epidemic that not even the most draconian measures could stop, Justice Minister Paiboon Koomchaya shocked the nation in 2016 when he conceded that “the world has lost the war on drugs.” Not only did he suggest legalizing methamphetamine, Koomchaya urged his countrymen to view the drug epidemic through the lens of public health, rather than law enforcement. 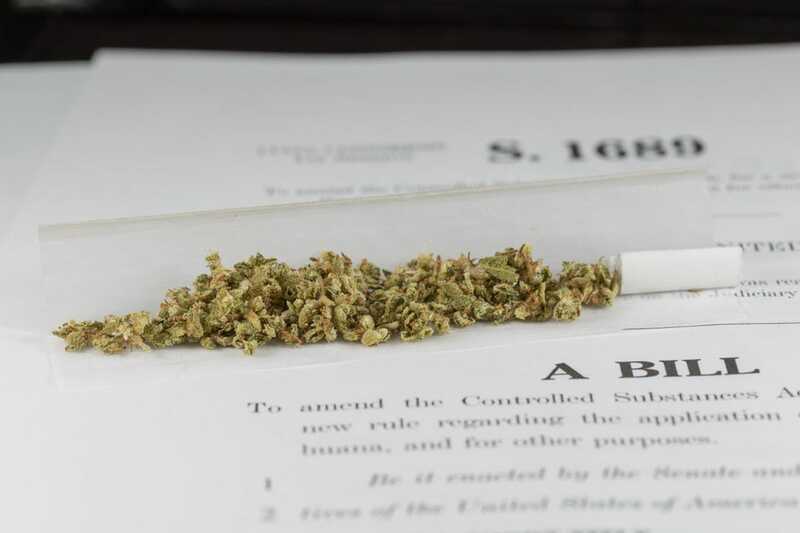 Today, many hope that this new laissez-faire approach will lead to the legalization of the legendary marijuana that was once among the Kingdom’s most famous and valuable exports. 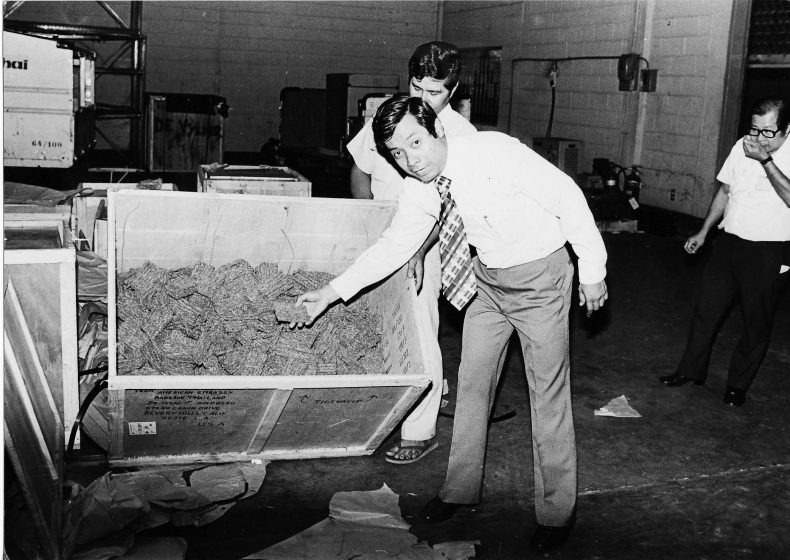 After the United States built military bases in Thailand during the 1960s and stationed tens of thousands of U.S. soldiers there, the marijuana industry exploded and cheap, powerful pot became as readily available as beer. “Who can forget the first strange-looking Thai Sticks a decade ago! Dense, seedless, stronger than a bull elephant. Years before sophisticated sinsemilla techniques were incorporated into the crop management of U.S. growers,” wrote High Times magazine, the journal of record for pot connoisseurs, “the Thais were, without effort, turning out a superior product.” What sold for $3 per kilo at the farm in Isan, easily fetched $4,000 a kilo in any city in the United States in the early 1970s. 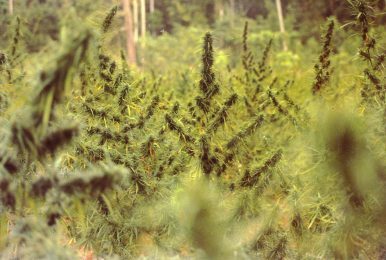 The foreign demand for marijuana produced a boom in Thailand’s poorest region during the 1970s and 80s. North of Udorn on the banks of the Mekong sits Isan, a plateau as large as many American states (62,000 square miles) that floods during monsoon season and is arid and dusty during the dry season. Although rice fields are hard to irrigate and do not yield much, marijuana thrives thanks to the Mekong River, whose tributaries replenish the region with rich, silty soil. Farmers in Northeast Thailand take the same care with their cannabis plants that French vintners take with their grapevines. “They know how to grow so nice, I mean how to take care of the flower, how to take out the male plant,” said one retired Thai marijuana broker. After they harvested and dried the cannabis sativa flowers (buds), the farmers and their families neatly and uniformly tied them to small bamboo sticks and secured them with threads of hemp fiber. What made the criminalization of marijuana particularly difficult, not just in Thailand, but certain parts of Southeast Asia, was that it was considered little more than a medicinal or cooking herb with little or no local legal or moral stigma attached. The plant had grown in Thailand, Laos, Cambodia, and Vietnam for centuries and various preparations were used to treat: migraine headaches, cholera, malaria, dysentery, asthma, digestion, parasites, and post-childbirth pain. Under Thailand’s 1934 Marijuana Act, penalties for any amount of the plant could not exceed one year in prison. When criticized by American officials for tolerating cannabis, Thailand leaders were quick to remind them that drug abuse was not part of their culture. A load of Thai Sticks Intercepted by Thai police. Photo Bangkok Post. 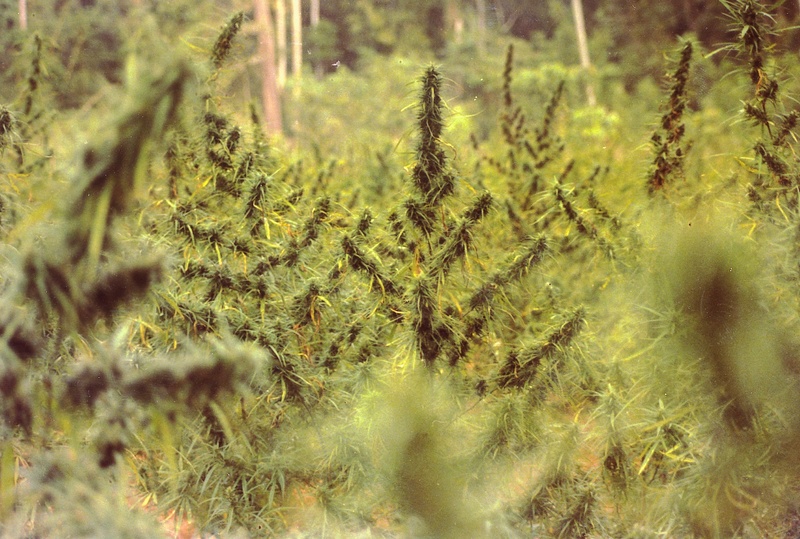 During the 1980s, the U.S. government was able to convince and coerce Thailand to partner with them in a war against marijuana. 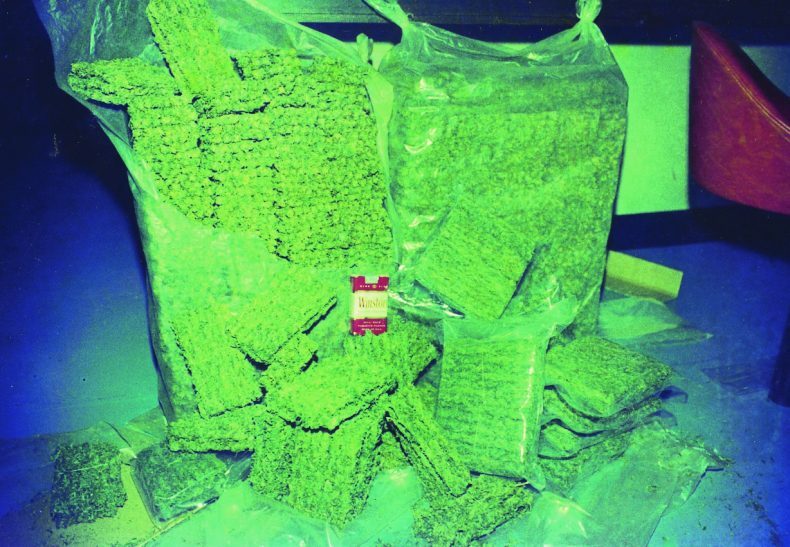 In 1988 alone, the U.S. Coast Guard intercepted eight “motherships” that carried 463,000 pounds of Southeast Asian marijuana bound for American shores. However, in the end, the “victory” was Pyrrhic because Thai drug users replaced cannabis with methamphetamine that is today responsible for 90 percent of that nation’s drug arrests. Recently, there have been signs that the Thai government is softening its stance on marijuana. A research team at Rangsit University received permission from Thailand’s Narcotics Control Board and made a cannabis extract spray for cancer patients. In April, Dr. Arthit Uraitat, the rector of Rangsit University, called on Thailand’s military leaders to legalize medical marijuana. Last week, a private company called the Thai Cannabis Corporation announced the start of a five-year cannabis project that will cultivate 5,000 hectares (12,355 acres) of the plant in the next five years. The Royal Project Foundation will oversee this effort and Maejo University will provide research support. Thai Cannabis Corporation’s objective is to establish a low-cost model to grow, harvest, and process cannabis plants into oils and extracts. Initially, they will focus on breeding high CBD (cannabidiol) cannabis strains that contain minimal amounts of THC (tetrahydrocannabinol) in order to comply with the laws of Thailand. “The mission of the Royal Project Foundation is to research and develop appropriate technology to sustainably improve the quality of life for Thailand’s highland communities. I quite agree with the Thai Cannabis Project,” said the director of the Royal Project Foundation Dr. Vijit Thanormthin. The Royal Project Foundation was established and funded by King Bhumibol Adulyadej in 1969. An early advocate of sustainable farming, the king sought to improve the quality of life of Thailand’s hill tribes by replacing opium with other crops and also revitalizing Thailand’s forests and safeguarding their water resources for future generations. Cannabis fits very neatly into the Royal Project Foundation’s mandate given that Thailand’s hill tribes were once the world’s premier marijuana growers. The nation is already exporting packaged food, beverages, essential oils, pharmaceuticals, medical devices, and cosmetics. Why not marijuana? Thailand’s slow shift towards marijuana legalization stands in stark contrast to America’s anarchic “Green Rush,” the greatest exhibition of human greed since gold was discovered in California in 1849. Unlike Vietnam, Cambodia, and Laos, a foreign army has never occupied Thailand and they have staved off foreign invaders for centuries. Generations of Western businessmen have been baffled by their unique and refined Buddhist sensibility that often seems to value mental equilibrium and social grace as much as profit. Peter Maguire is the author of Thai Stick: Surfers, Scammers, and the Untold Story of the Marijuana Trade, Facing Death in Cambodia, and Law and War: International Law and American History. He has taught history at Columbia University, Bard College, and the University of North Carolina Wilmington.